In fact, the hobby goes all the way back to the time of the ancient Egyptians. Of course, modern indoor gardening benefits from something the ancient Egyptians didn't have, artificial lighting. If you do not have enough natural light, there are several types of lamps available but most gardeners use fluorescent lights. You can buy an already assembled tabletop garden light that will grow a few plants that do not require intense light. Or you can assemble a large étagère that allows you to grow many plants under various degrees of lighting. You can also use window valances that allow you to combine artificial light with natural light. Of course you will need plenty of planters. When choosing planters, remember that the needs of the plants must take priority over your preferences for décor. All containers should have a hole or holes for the drainage of water and proper aeration. Containers made of porous material are best for this. You can prevent porous pots from drying out too rapidly by placing them in a larger pot filled with sawdust or by burying them in a bed of moist sphagnum, peat moss or vermiculite. Wooden containers are best for plants that must be grown at high temperatures. Be sure to choose planters of a size and shape best suited to the indoor gardening space you have. Sweet peppers are more of a challenge for indoor gardeners. They require special lighting that can be difficult to produce in the home. Still, some determined gardeners managed to grow them indoors. 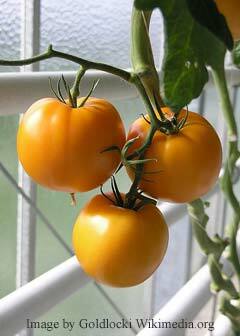 Of course, there are many other vegetables you can grow in your indoor garden. Just ask the people at your local gardening centre what might work best for you. Note: If you have some great indoor vegetable gardening tips to share, or want to show off your vegetable garden design or send photos of your bumper vegetable crops, please Contact Us - we'd love to add it to our pages.